Any business, for it to thrive, must stay current. Just like fashion, you have to be in season. You can say the same thing when it comes to your presentations. You have to stay current if you want to be relevant. And if your presentation is about the seasons, well, it’s more important than ever. 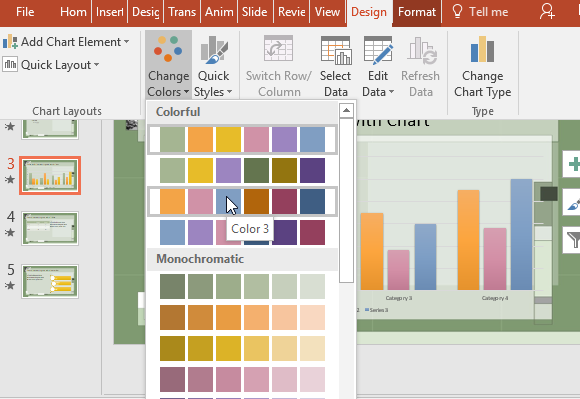 The Free Seasons in Sage Template for PowerPoint is a great go-to template if you want to highlight time and the changing seasons. This is because the template has a seasonal theme that is still versatile enough to be used for all kinds of presentations. 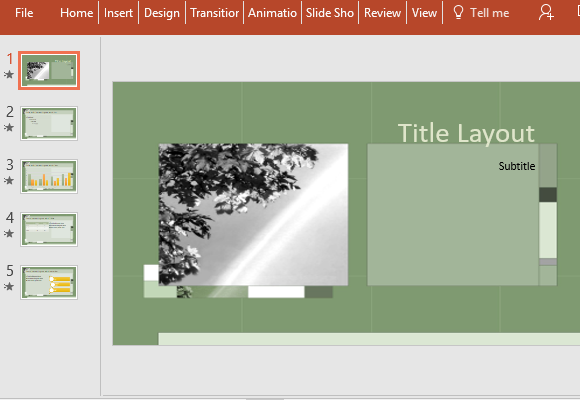 Using this template instead of creating one from scratch can greatly help you create a well-coordinated and professional-looking presentation within a few minutes. This will allow you to concentrate on what matters, such as preparing for your own speech and bulking up your presentation’s content. This template is esspecially designed to give off a kind of warmth, despite its green theme. The warm hues convey a sage theme that is great for fall and can also be used for other seasons. It also contains geometric shapes to vary the shades of sage green while still keeping the theme. There is also a monochromatic image of leaves and a sunray, or a rainbow, which adds an interesting touch to the title page. 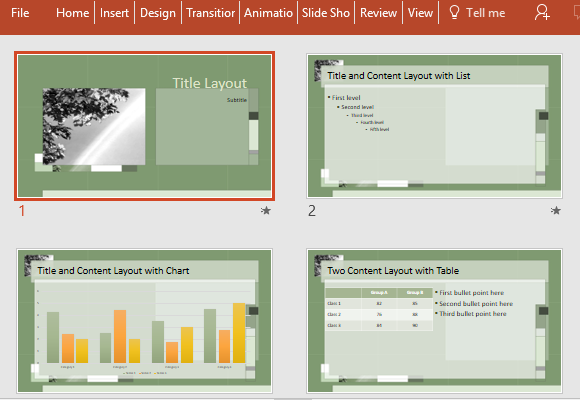 There are four more slides that follow the title slide, and these too share the seasons in sage theme, this time with a white transparent overlay so that the content can stand out slide after slide. There are also charts, tables, diagrams, and other layouts that match the theme, so that every slide element stays cohesive. If you want to customize this seasons in sage template, you easily can. You can add your logo and slogan, or even your presentation title as a footer. You can also customize the tables and charts by going to the Design menu in the Ribbon and using the Change Colors or Quick Styles options.